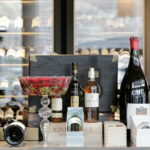 With a revamped cocktail bar and two new additions to the luxury boutique’s top floor, Harvey Nichols Knightsbridge Fifth Floor makes the ultimate food and drink destination for Londoners. The transformation has seen an addition of POLPO, the restaurant group’s first site in Knightsbridge; Japanese small plates from restaurateur Scott Hallsworth at Kurobuta; and a redesigned Fifth Floor Bar in partnership with Grey Goose. Perfect for any occasion, whether it’s a mid-shop-pit-stop lunch, an afternoon cocktail, or something more special in the evening, Harvey Nichols Fifth Floor has just the thing to suit the occasion. The new site sits alongside the classic, much-loved Harvey Nichols hospitality spaces – the Fifth Floor Café and the Fifth Floor Terrace, a peaceful haven in the heart of Knightsbridge – the Foodmarket and Wine Shop. The renovation has seen the bar redesigned in collaboration with esteemed vodka house Grey Goose. The newly-designed space takes on a classic, sleek and sophisticated décor with a characteristic Grey Goose masculine touch, through the brand’s signature colors of silver grey and navy tones. The interior is inspired by classic French luxury, with leather, brass, marble and dark wood used for an elegant but contemporary feel. 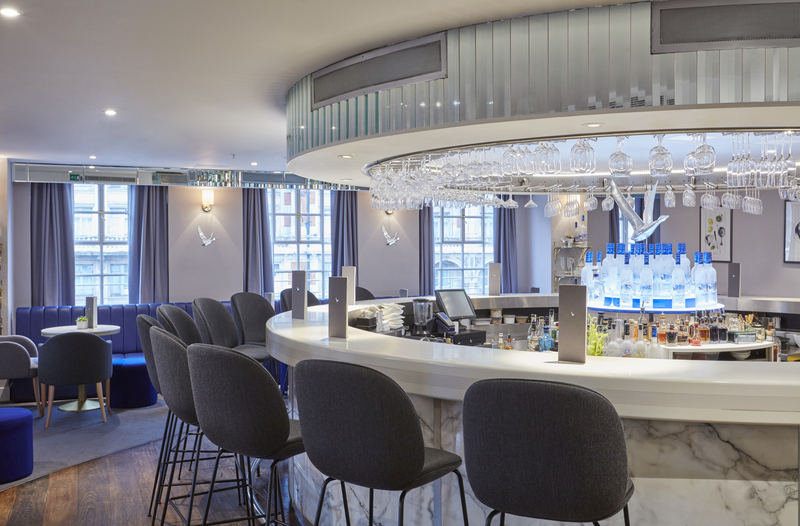 Along with a new look, the bar is accompanied with a new menu of extraordinary reinterpretations of classic cocktails and twists on the ultimate celebratory cocktail, GREY GOOSE Le Fizz. 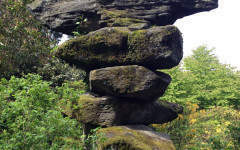 There are then five variations of the Le Fizz, each with a twist on the original. 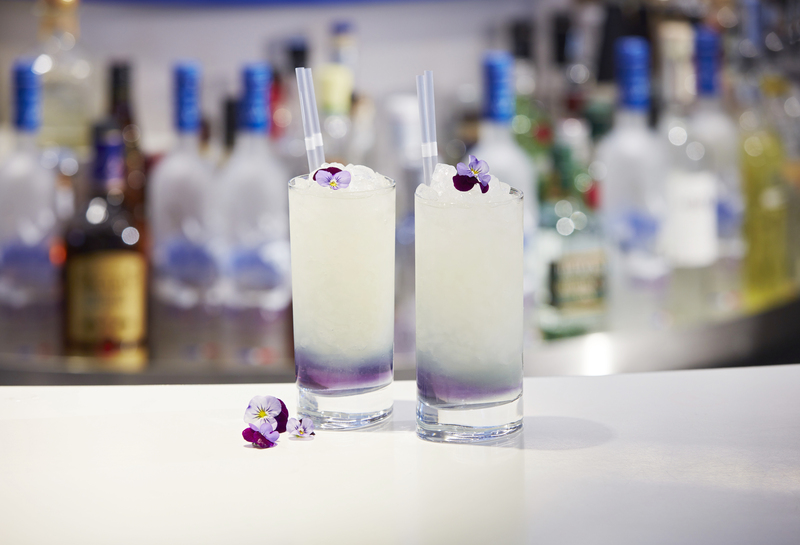 The Grey Goose French Flower is a popular choice (vodka combined with elderflower and lemon juice, topped with Champagne and a touch of Créme de Violette liqueur). 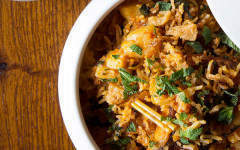 Neighboring the bar is one of London’s most innovative and exciting Japanese dining destinations, Kurobuta. The contemporary Japanese bar & grill was originally founded in 2013 by Australian Chef Scott Hallsworth (ex Head Chef at Nobu). 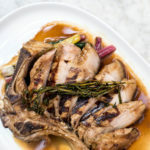 The all-day menu of tapas-style dishes is inspired by the Izakayas of Japan as well as Scott’s passion for pushing gastronomic boundaries and giving Japanese classics a contemporary, sometimes Western, twist. 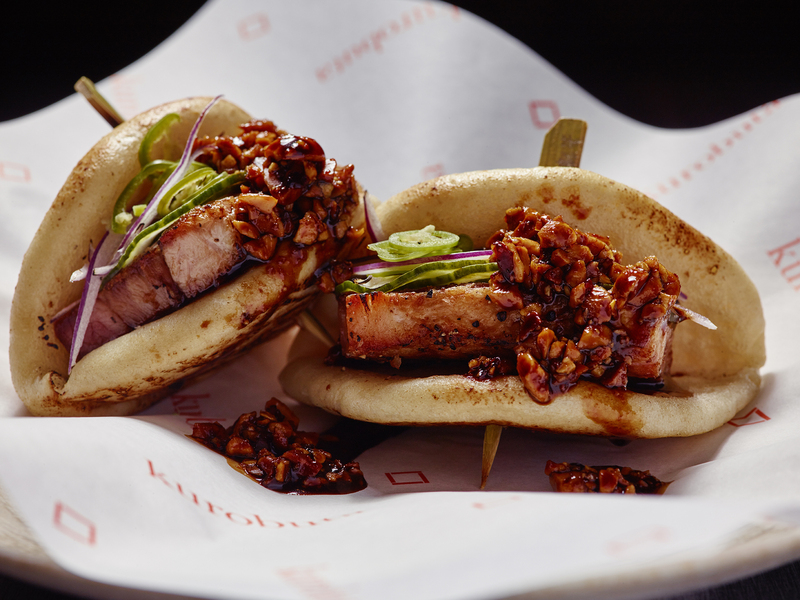 The menu at Harvey Nichols Knightsbridge features a variety of delicious new and exclusive dishes – BBQ fusion cuisine, ‘junk food japan’ choices, raw sashimi and maki, and a whole section dedicated to frilly tempura. Highlights at the restaurant include beautifully soft 12-hour, slow-cooked octopus with green olive halves, dried miso and chilli; rolled-up yellowtail sashimi with wasabi salsa and citrusy yuzu soy; and BBQ pork belly in pillowy steamed buns with crunchy, spicy peanut soy.